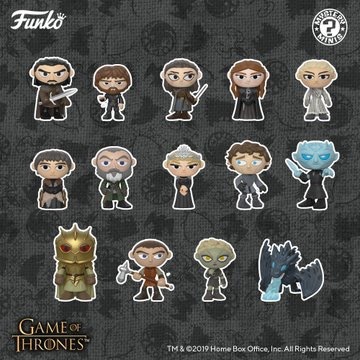 Home Mystery Minis New Series of Game of Thrones Mystery Minis Coming Soon! The end is near for Game of Thrones but that doesn’t mean the collectibles have to end. 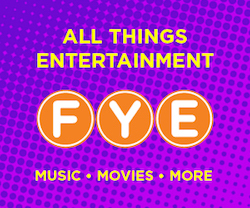 Today, Funko annonced the upcoming release of a new Mystery Minis collection. The series will make its was to store shelves very soon and should be available available for pre-order very soon on EntertainmentEarth.com. Also as an added bonus collectors can head to their local Hot Topic Store and look for 3 exclusives. 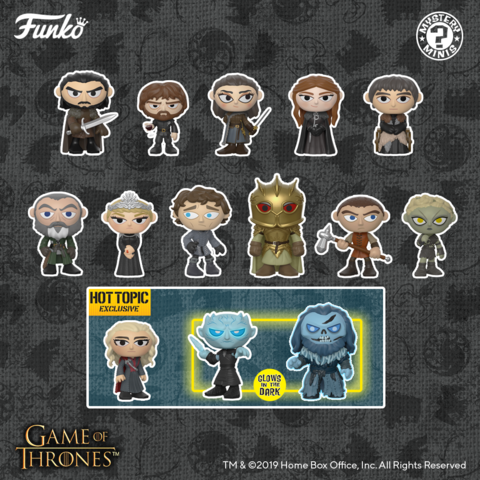 Below is the pre-order link for the new Game of Thrones Mystery Minis as well as a look at the Hot Topic Exclusives. Previous articleNew Funko Shop Exclusive Fantastik Plastik – Gill (Orange) to be released today! Next articleNew Star Wars Celebration Loungefly Exclusives Announced!